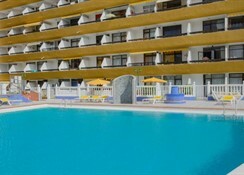 An impressive outer façade and rich interiors define Las Arenas, an apartment-style accommodation in Playa del Ingles. This property is just three minutes on foot from the beach. Guests staying here can enjoy some beach fun and swim in the clear blue waters of the Atlantic Sea. 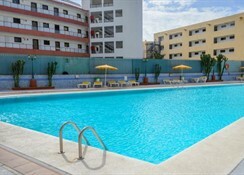 This complex offers separate outdoor swimming pools for children and adults. 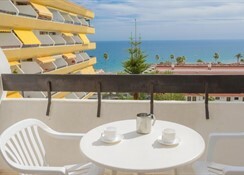 A private balcony in the hotel offers panoramic city and sea views. Chill out at the nudist sun terrace with your partner. Playa del Ingles is a buzzing resort on the southern tip of Gran Canaria popular among British tourists all year round for its fine beach and happening nightlife. Some of the largest nightclubs, sizzling karaoke bars, Irish pubs and restaurants make it the place to be. There is a lovely promenade to stroll by the beach and exciting water sport options for the whole family. The bustling Yumbo Centre is just 1.5km from Las Arenas. The apartment enjoys a convenient location next to El Metro and La Kasbah shopping centres. 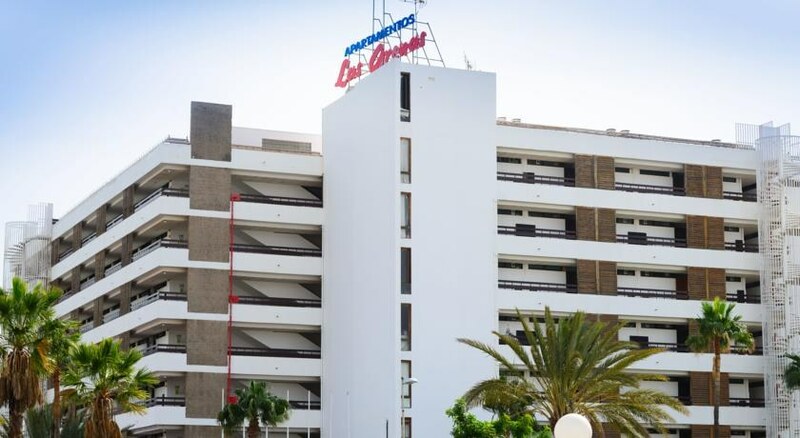 The easiest way to reach the Las Arenas hotel in Playa del Ingles is by air from the Gran Canaria Airport located 30km from here. 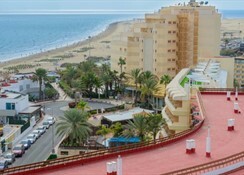 The Aqualand Maspalomas Water Park is 6km from here. All the apartments at Las Arenas feature a kitchenette with microwave and fridge. One can also find a living room in every apartment. The rooms have satellite TVs. Wi-Fi is available on chargeable basis. The furnished rooms, terraces and balconies ooze of elegance and luxury. The upgraded rooms add proper kitchens and/or balconies. 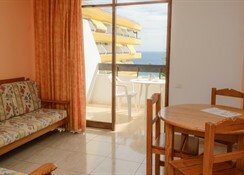 The apartments at Las Arenas are meant to be self-catering and feature a kitchenette with microwave and fridge. There is a stylish snack bar at Las Arenas serving light snacks and refreshing drinks. One can find an exotic collection of alcoholic beverages here. Guests can also sample the various eateries located in a close proximity from the hotel. 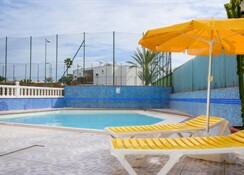 Las Arenas has a tennis court within the complex and two pools for adults as well as kids. The Meloneras Golf Club is located at a distance of 5km from here where one can polish their golfing skills. A vibrant kid’s play area will keep your kids busy while you enjoy relaxing with a swim in the outdoor pool. Soak in plenty of sunlight at the rooftop sundeck. A swanky hair salon caters to your grooming needs. Guests can also sweat it out at the modern gym here.